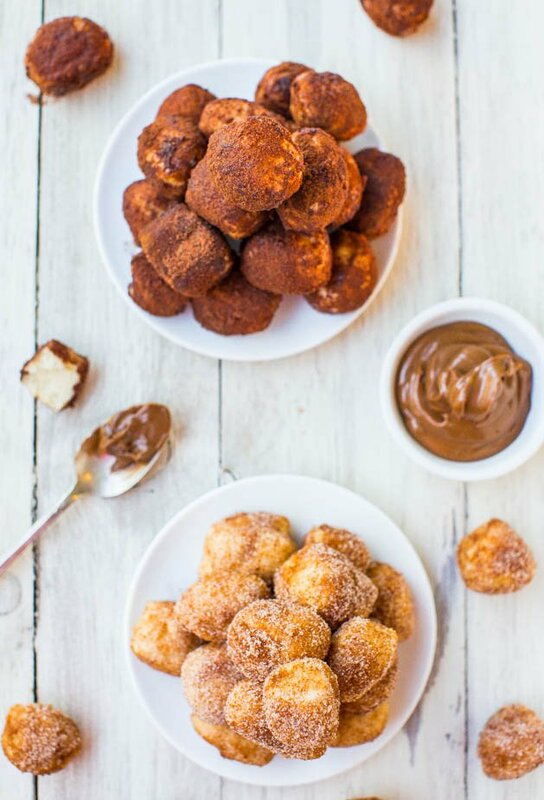 Soft, warm pretzel bites coated in chocolate or cinnamon-sugar that you don’t have to go to the mall for. That’s both beautiful and dangerous. This is my fifth ready-in-one-hour recipe and all are vegan, including this one. 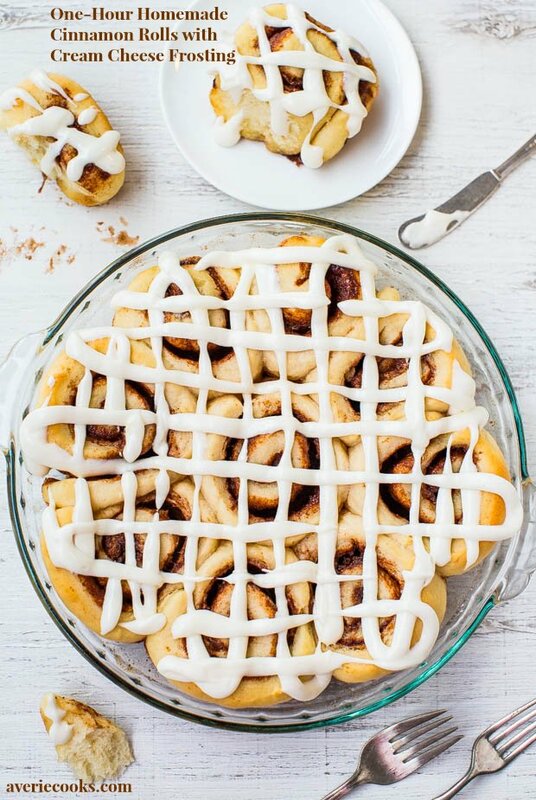 There’s One-Hour Pretzels, One-Hour Whole Wheat Pizza Dough, One-Hour Soft Buttery Breadsticks, and One-Hour Homemade Cinnamon Rolls. These are just like their predecessors. 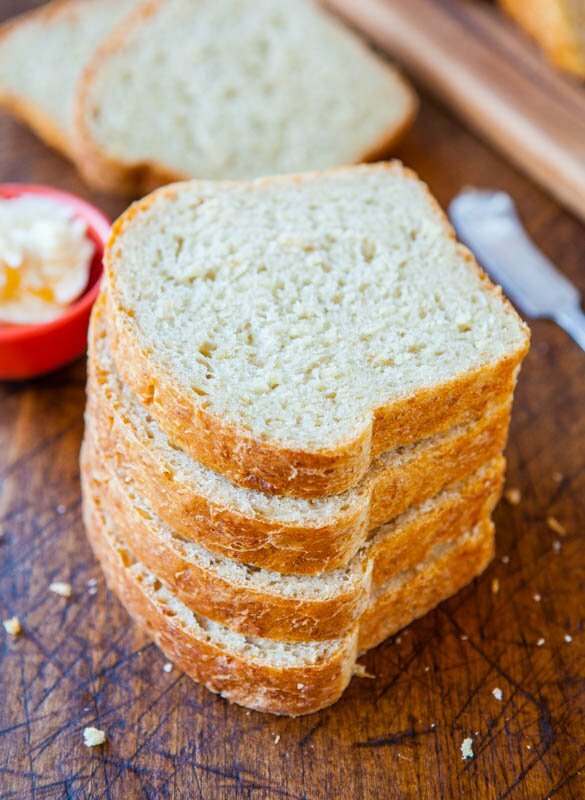 Fast, easy, ready in 1 hour, and even if you’ve never made bread before, it’s an extremely easy recipe great for newbies. 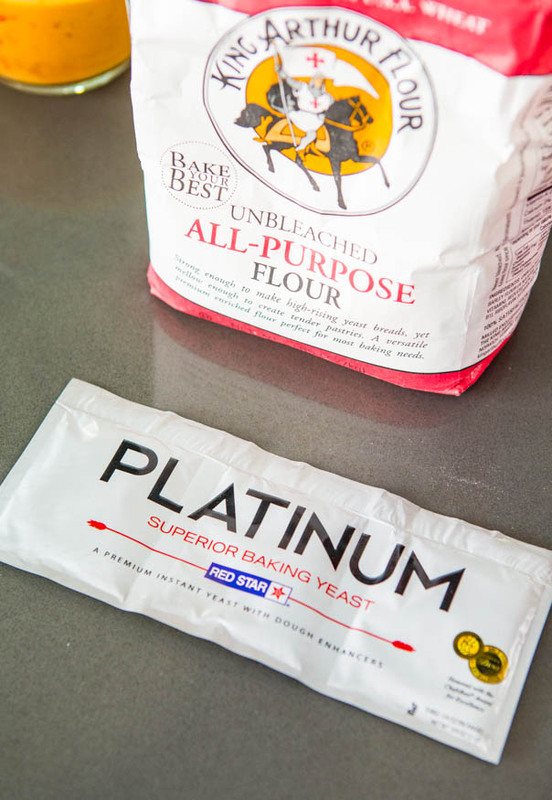 Rather than the typical lengthy initial rise that most yeast recipes have (1-2+ hours), then shaping the dough before the second rise (1 + hour), this dough rises only as long as it takes your oven to preheat, about 10 minutes. I also eliminated the step of boiling the raw dough before baking it because I don’t find the results justify the work. They taste just as good, minus the extra hassle. I used King Arthur All-Purpose because I wanted the bites to stay as soft as possible. Bread Flour will lend a chewier, thicker, denser result, more bagel-like. 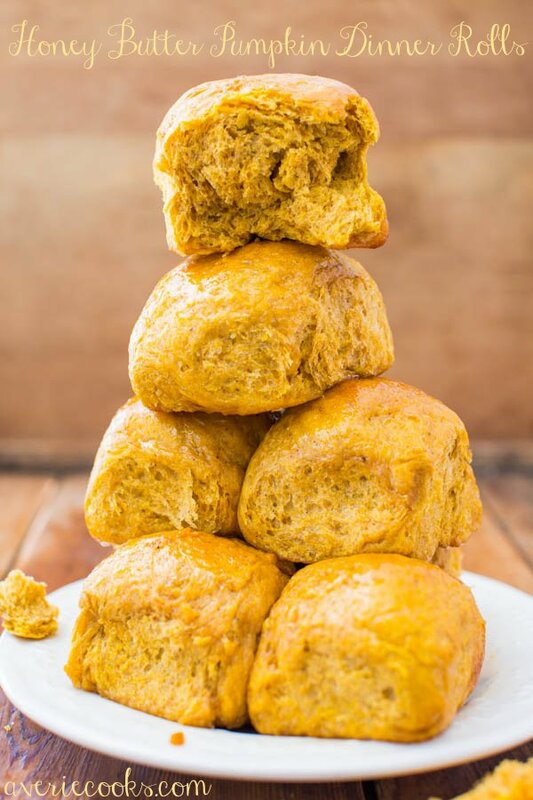 If you want to use whole wheat flour, read this post, don’t exceed more than 50% by volume of whole wheat flour, and if you try it, let me know how it goes. 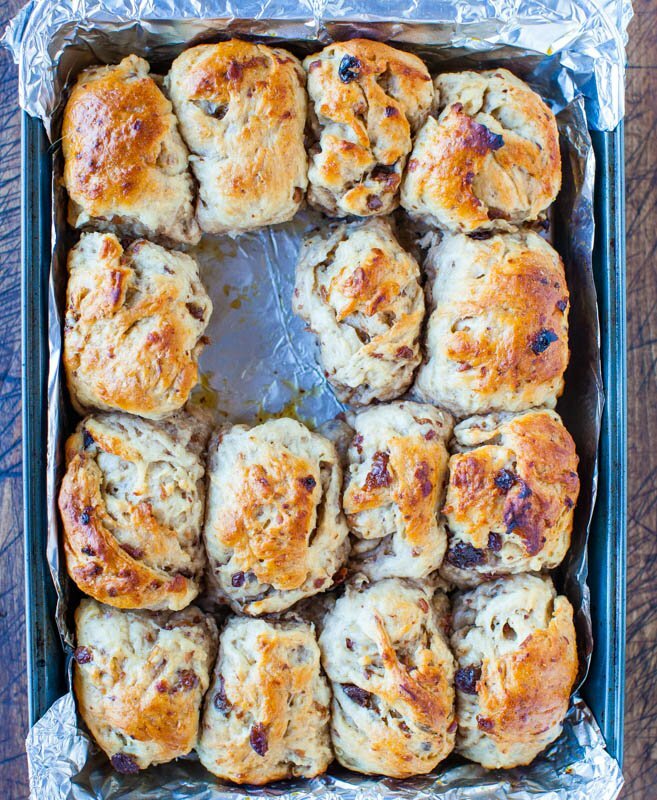 Place the dough on your counter, divide it into 4 pieces, and roll each piece out into a long rope that spans the length of your baking sheet. 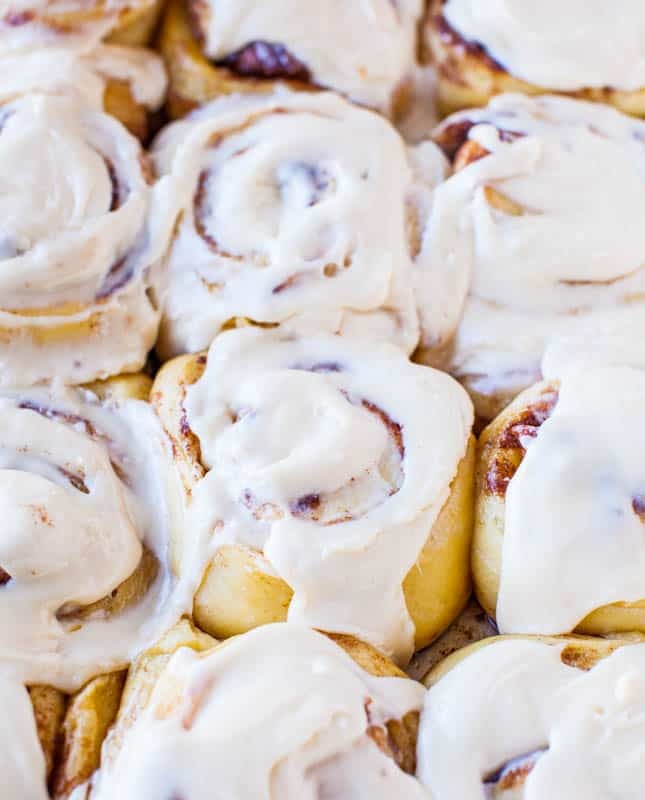 The dough may be a little stubborn to roll, very springy and may want to recoil, but just keep rolling and finessing until you’ve gotten it to the proper length. Score each rope with a pizza cutter into 1-inch pieces, and separate the pieces so they’re not touching. Preheat the oven and consider the time it takes to preheat the the first, second, and only rising period involved with this dough. Love that. 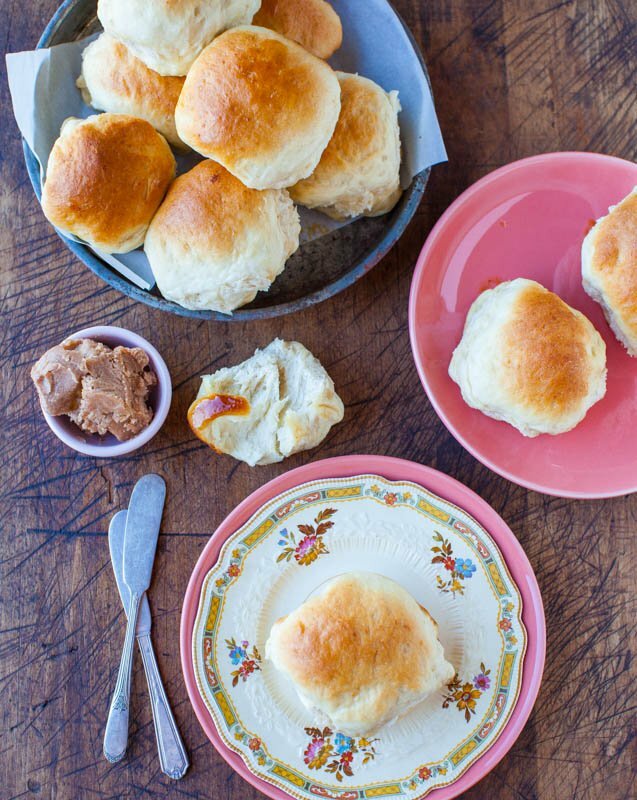 Bake until they’re lightly golden and while they’re still on the baking tray, brush with melted butter (or vegan buttery spread), and get ready to coat them. 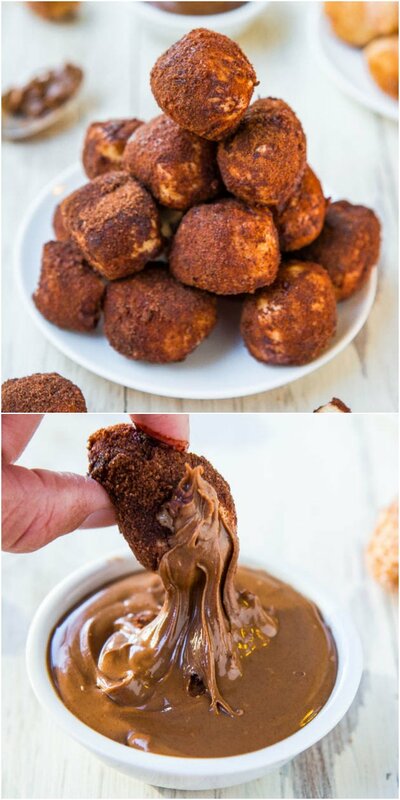 I coated half with cocoa powder-sugar and half with cinnamon-sugar. Or keep it simple with just butter and a sprinkle of sea salt or kosher salt. Or go savory with Parmesan cheese, chives, garlic or onion powder, poppy or sesame seeds, for everything-bagel bites. 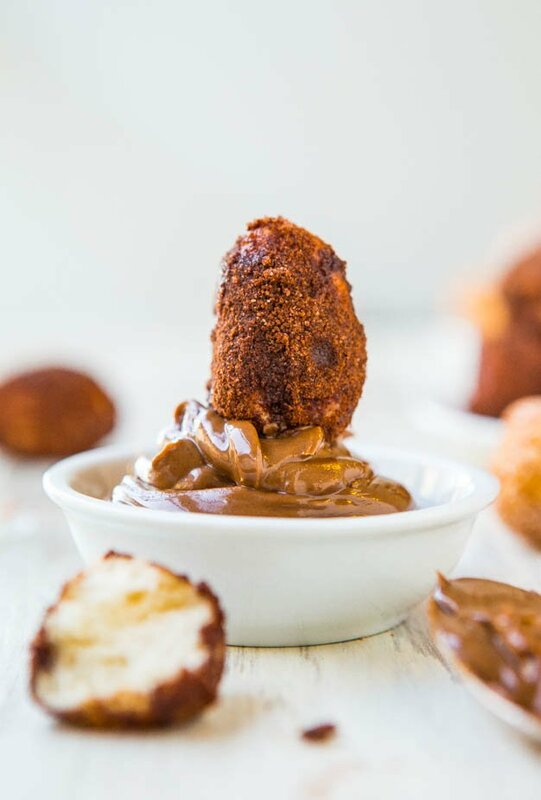 Because you can never have too much chocolate, I decided that dipping them in Nutella sounded like a good idea. It was actually a great idea. They’re so easy to pop, one after another. The outside is firmer and chewy, while the inside remains soft and supple. 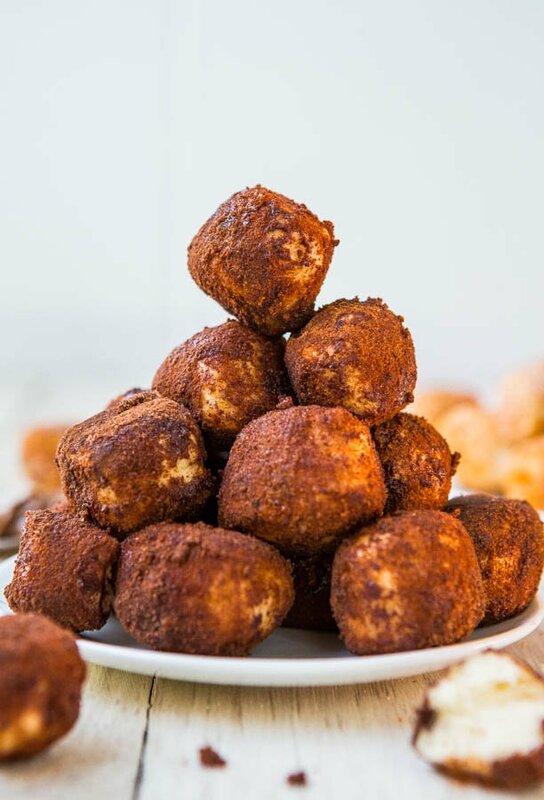 The chocolate bites are dark and rich, and not overly sweet, while the cinnamon-sugar version has a nice pop of cinnamon flavor. Although I’m a cinnamon fiend in general, the chocolate version won, hands down, in a taste test with family and friends. The chocolate ones were fought over. Smart people. Great use of an hour, that’s for sure. 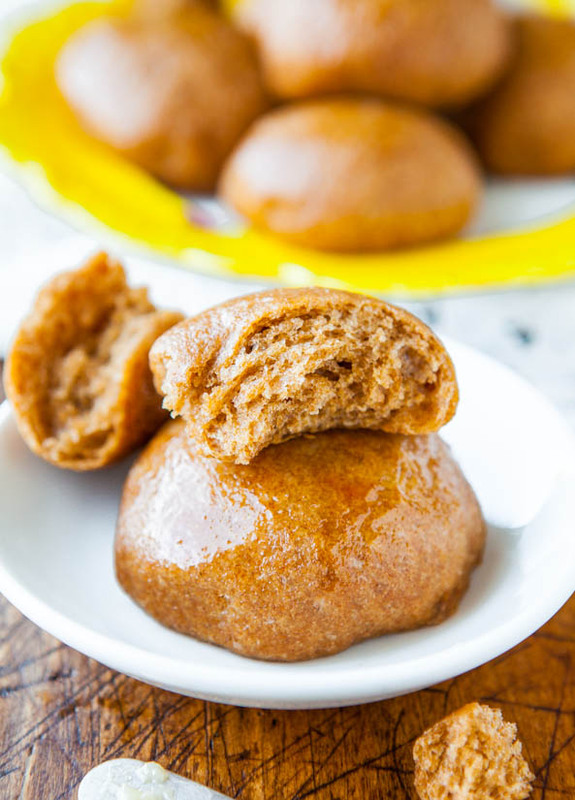 Warm and fresh from the oven, these vegan pretzel bites are ridiculously good. They’re so easy to pop, one after another. 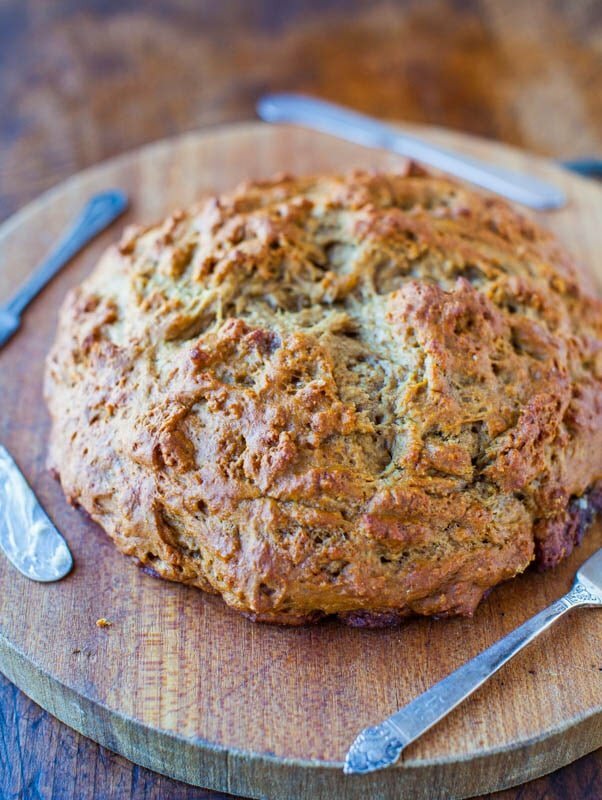 The outside is firmer and chewy, while the inside remains soft and supple. 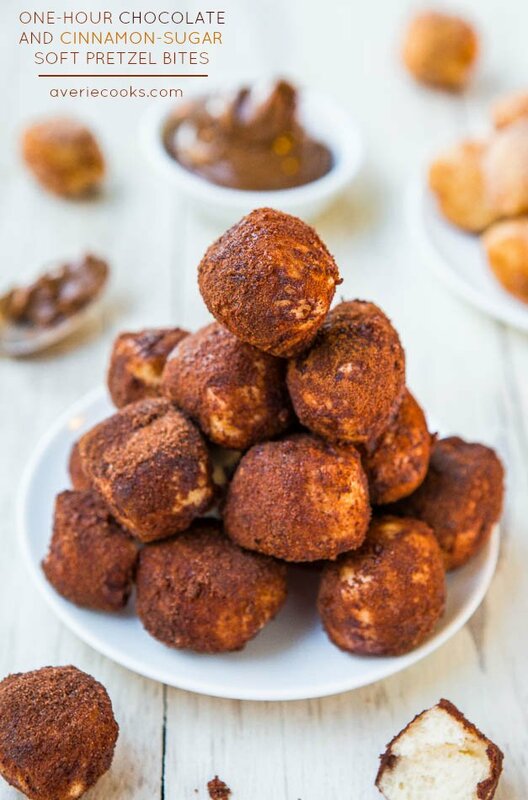 The chocolate bites are dark and rich, and not overly sweet, while the cinnamon-sugar version has a nice pop of cinnamon flavor. 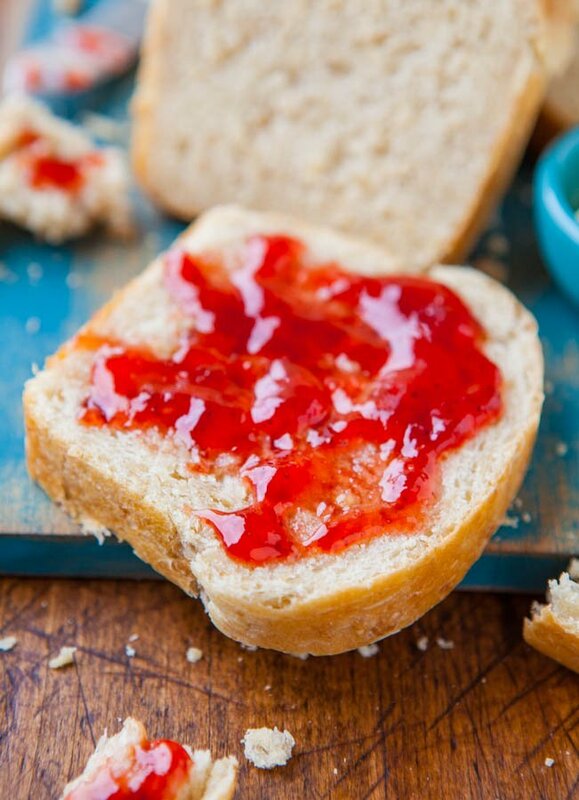 The dough is easy to make and not sticky, making this a great recipe for newbie bread makers. I made half the batch as chocolate and half as cinnamon-sugar. 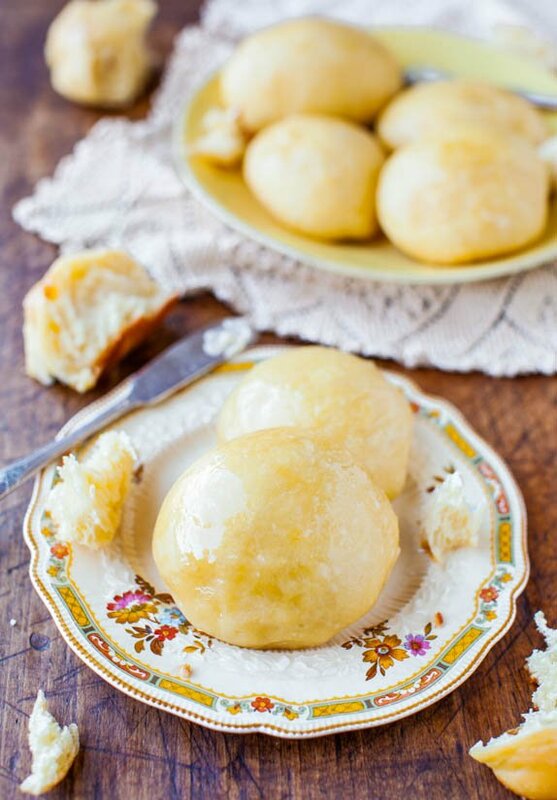 Try simple buttery sea or Kosher salted bites, or use Parmesan cheese, garlic or onion powder for savory bites. They’re every bit as good as the pretzel bites you’ll find at the local mall, but cost less than a buck to make and are ready in an hour. 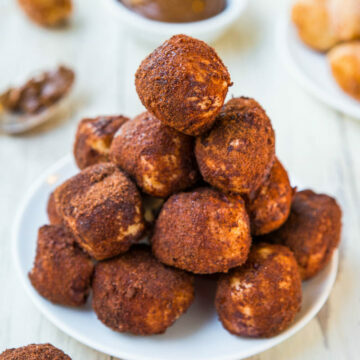 Pretzel Bites – To the bowl of a stand mixer fitted with the dough hook (or large mixing bowl and hand-knead), combine flour, water, yeast, oil, sugar, optional salt, and knead for about 5 minutes, or until dough is soft, smooth, and has come together in a firm mass. 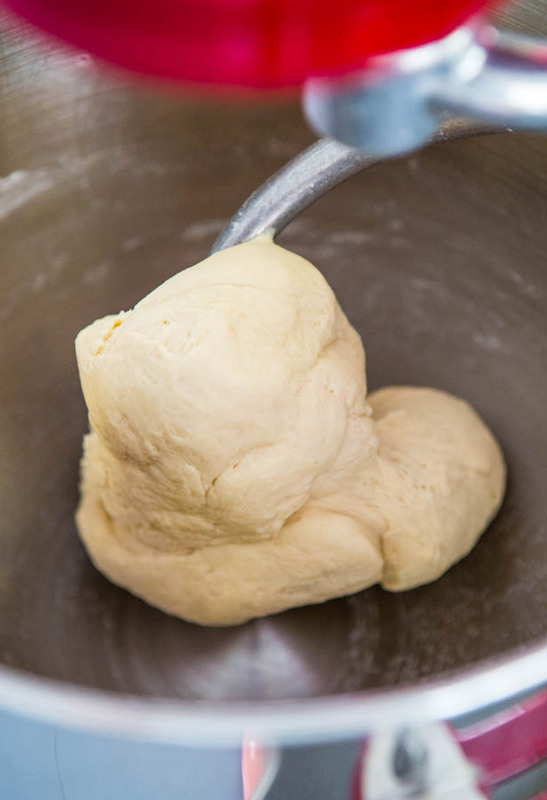 If hand-kneading, you may need to knead a few minutes longer. Based brand of yeast used, water temperature will vary. Red Star Platinum yeast calls for a warmer temperature than most, 120 to 130F; other brands are lower, about 95 to 105F. Warm water according to the yeast manufacturer’s recommendations on the packaging. Taking the temperature with a digital thermometer is recommended, but if you’re not, make sure the water is warm, not hot. Err on the cooler rather than hotter side so you don’t kill the yeast. Turn dough out onto a Silpat-lined countertop (provides nice traction) or just the bare counter. 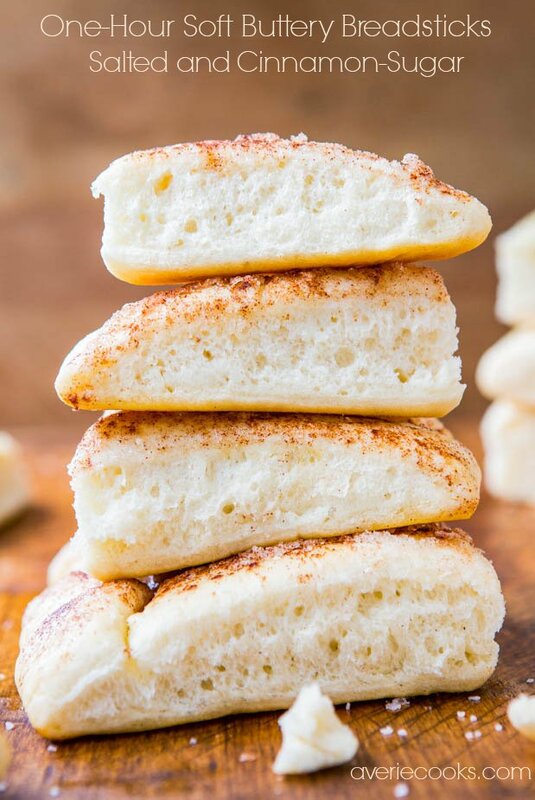 Divide dough in 4 equal-sized pieces. 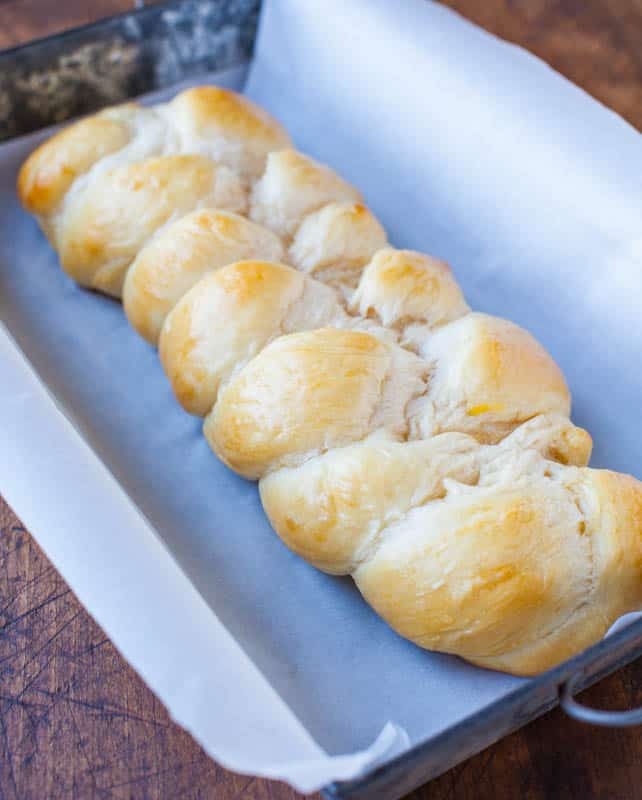 Roll each piece of dough into a long rope spanning the length of a standard baking sheet (my baking sheet is 17 inches long). 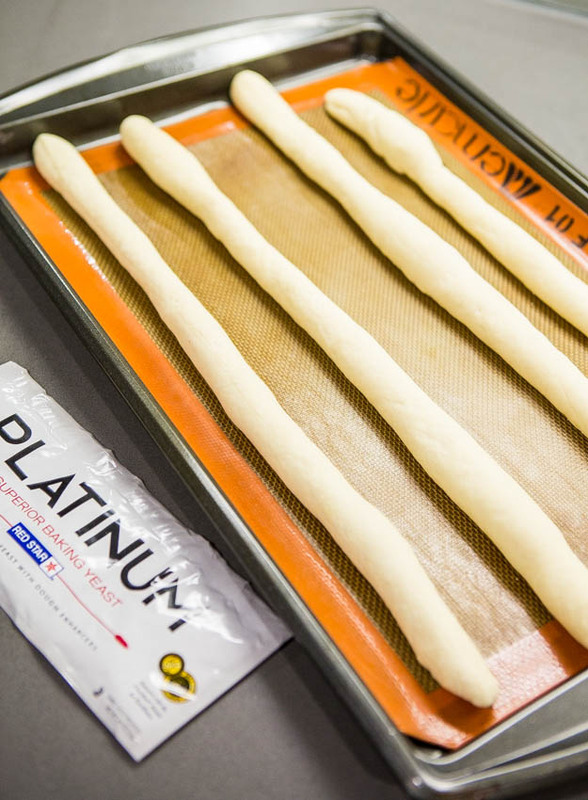 Place the ropes onto a Silpat-lined or cooking sprayed baking sheet. 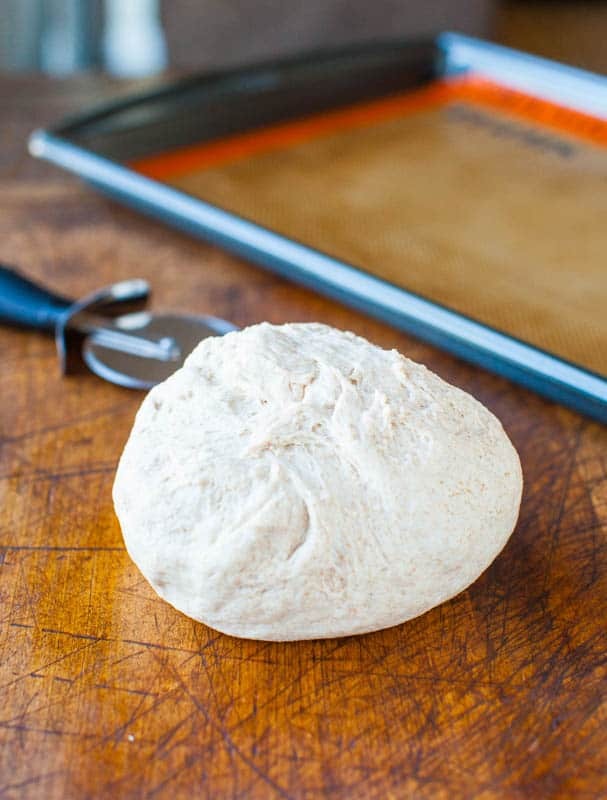 Score the dough with a pizza cutter into 1-inch pieces. Separate the pieces so they’re not touching; set pan aside while oven preheats. Preheat oven to 350F; this generally takes about 10 to 15 minutes and this is all the dough rises for. 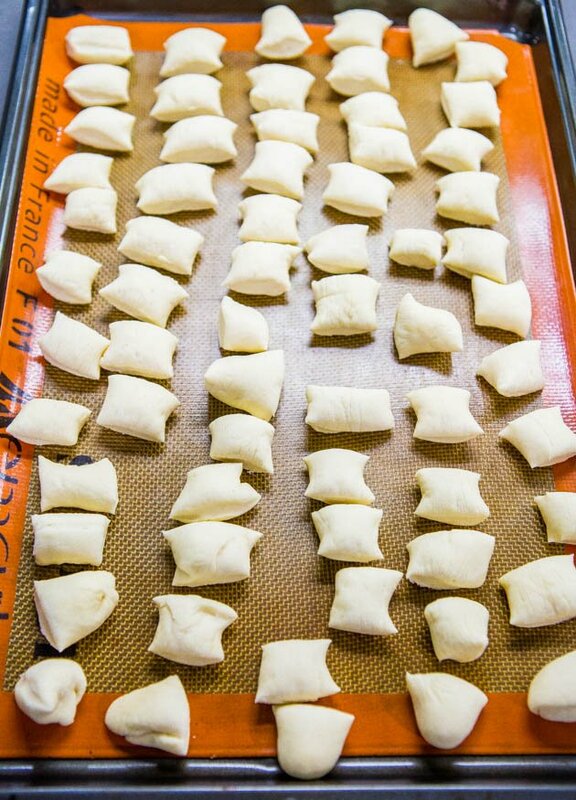 Bake for about 16 to 17 minutes, or until barely golden, firm, and cooked through (taste one to make sure). Keep a watchful eye in the last few minutes of baking so they don’t burn. Set pan aside while you melt the butter, about 30 seconds on high power in the microwave. With the bites still on the baking tray (nicely contains the butter mess), brush generously with melted butter; set aside. 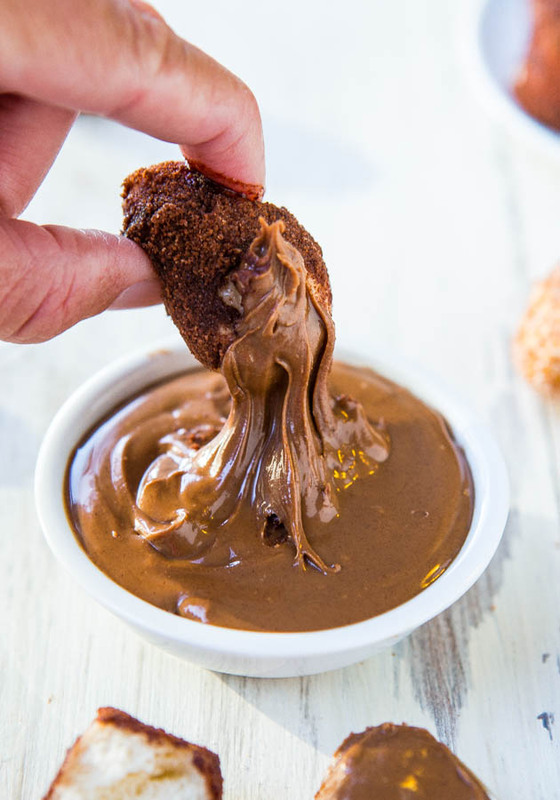 Chocolate Coating – In a small bowl, stir to combine the cocoa and sugar until well mixed. Turn mixture out into a gallon-sized ziptop bag. Add about half the pretzels to the bag, seal the top, and gently shake to disperse coating mixture evenly over pretzels, continuing to tip the bag from side to side, upside-down, and back and forth. Open bag and serve. 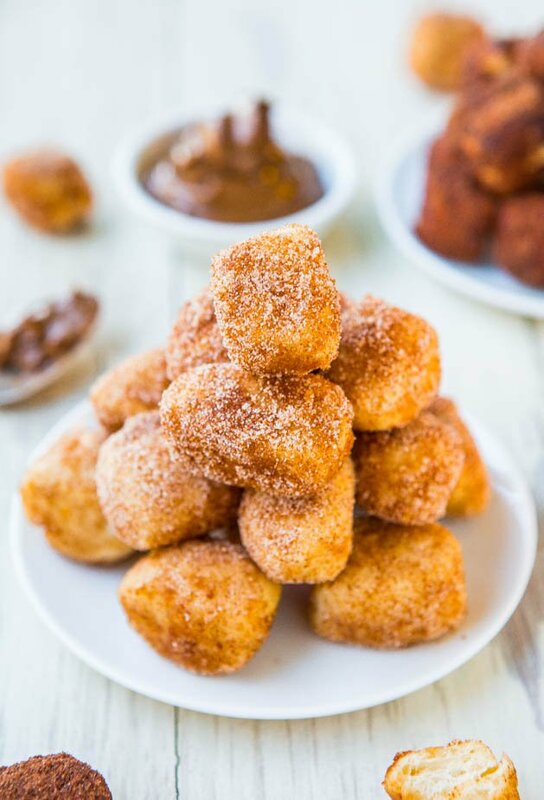 Cinnamon-Sugar Coating – In a small bowl, stir to combine the cinnamon and sugar until well mixed. Turn mixture out into a gallon-sized ziptop bag. Pretzels are best warm and fresh, but will keep airtight for up to 2 days. Before eating leftovers, heat for 5 seconds in micro to soften them up. I cannot wait to try these! I’m always a little bit intimidated by the whole process of yeasted baked goods – the time commitment, kneading etc. – so I love how simple/quick these are to make. Yum! 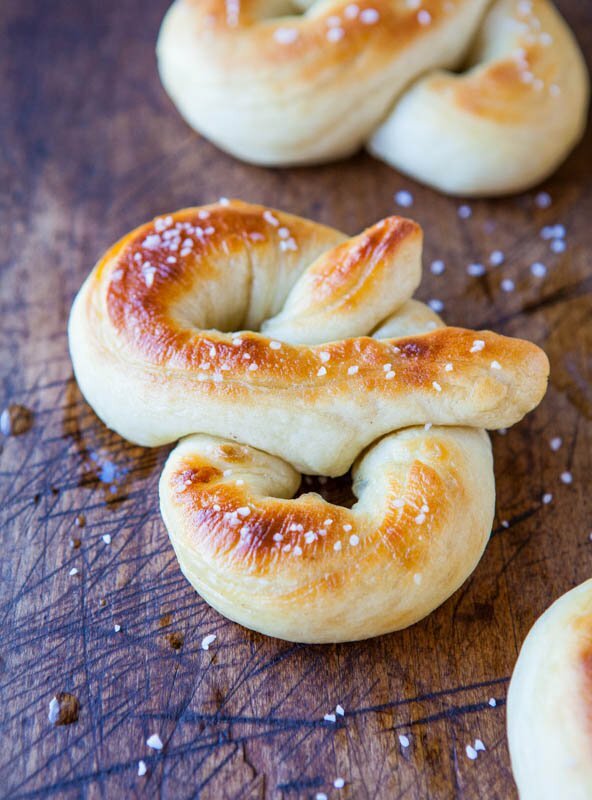 Mmmmm, I just love soft pretzels : ) this is a wonderful recipe! Oh my goodness! So much heavenly yumminess! I will be trying these for sure. Thanks for sharing! Now following you via fb and twitter! Made these today. They are so addictive! And I’m also a cinnamonaholic but nevertheless found that I actually like the chocolate better! Hi, I couldn’t find instant dry yeast in my grocery but I found fast rise active dry yeast and was wondering if I could sub for that. Yes generally speaking instant and fast-rise are very similar so go for it!